Hiring a moving company might seem like an unnecessary, extra expense when you’re planning your move, but think again; professional movers can make your move go more smoothly, even if you think you’ve accounted for everything. Read on to learn four reasons why you should hire professional movers for your next big move. All hands on deck: When planning for a move, it’s easy to underestimate just how much manpower it’ll take to actually get the job done. Do you really have enough people to drag that big sofa down the stairs? Hiring professional movers can make sure that you’ve got enough help to take care of everything when moving out, including the items you forget about. 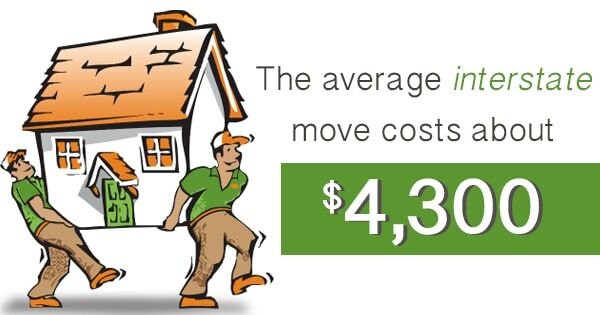 Around the block or cross-country: The average interstate move costs about $4,300 and the average in-state move costs about $2,300. However, both can cost more than that if you underestimate what you need to get from point A to point B. Hiring help at the start makes sure that you’re not stuck with surprise expenses, like having to rent an extra truck or make additional trips for items that didn’t fit in the truck on the first trip. Now where did I put that…: There’s nothing quite like forgetting something on your way into work and having to drive all the way back home for that one essential thing. Imagine having to double-back when you’ve already gotten halfway across the state, and the item you forgot was your dryer. Professional movers can help you get organized before your move to avoid that dreaded moment once you’ve hit the road. Safety first: We’ve all been there: you see the heaviest box in the room, and you think to yourself, “I’ve got this. I can handle this.” In reality, chances are you should probably get some help with that. Certified movers can make sure that the entire moving process goes as smoothly as possible, without anyone getting hurt, by using the proper equipment for lifting and moving your household items and appliances. Looking for a moving service to help with your next big move? Contact PDX Movers to see what services will be best for your interstate or intrastate move.